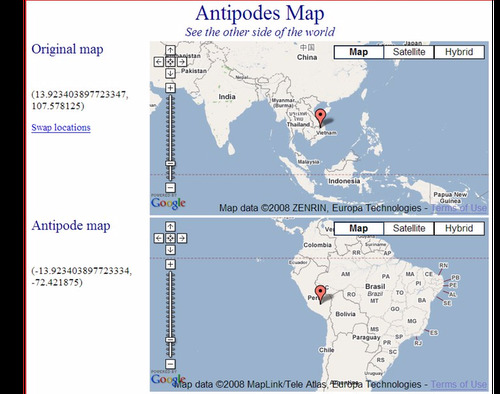 WHAT ARE THE ANTIPODES ANT WHERE ARE THEY? The Antipodes are placed on the other side of the earth from where we are.A line joining them would pass through the earth's surface. The North Pole is the Antipodes of the South Pole, and New Zealand is approximately the Antipodes of Great Britain. The Antipodes Island near New Zealand are so called because they are almost directly opposite to England. A person who lives at the other end of the world is therefore known as an Antipode. Today, there have been 10 visitors (371 hits) on this page!